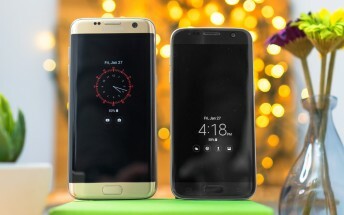 While it’s already mid-September and Google has published this month’s Android security bulletin last week, T-Mobile is now rolling out the August security update for Samsung’s Galaxy S7 and S7 edge. So it’s not as timely as it could be, but a welcome update nevertheless for last year’s flagships. The download size is around 289MB, and you’ll get a notification on your phone when it’s ready to be grabbed. After applying the update, you’ll be on build G93xTUVU4BQH7. Replace that “x” with “0” if you have the S7 and “5” if your device is the S7 edge purchased from T-Mobile. As always, the full rollout to all handsets out there is expected to take at least a few days. However, if you’re impatient and need to receive it right away, you may have a chance of achieving that if you manually check for it, by going to Settings > Software update > Download updates manually.